Filipino top gun Kobe Pars scores 5 points last January 14, 2017, against Truman State Bulldogs. 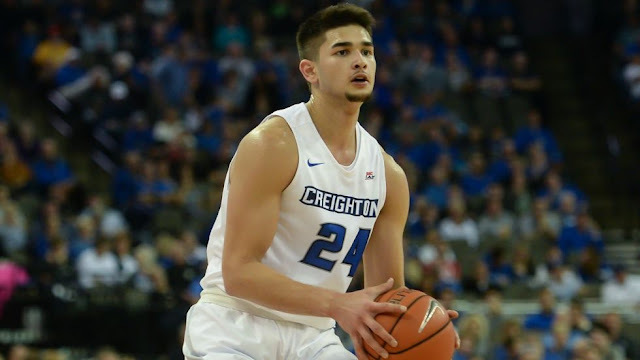 Kobe Paras who only played limited time and sometimes DNP in Creighton finally scores 5 points. The Creighton blowout the Truman State Bulldogs, 101-69. The Creighton team now is ranked no. 2 in the Big East with the record of 17 wins with only 1 loss. Paras who struggle to find his minutes is still positive that he can get his time in the future. "It's a process," he said. "Not every freshman in the world will start or play as much. I try to stay positive knowing that my team is in Top 10 right now. We're No.9 in the country. Of course the coach will use the players who have been in the program longer because they know the system. I just need to work hard in practice and work hard on my game." - Paras said last December.